An easy sandwich loved by vegetarians and meat eaters alike! Hearty lentils cooked in a spicy, tangy sauce. Each sandwich packs 12g of fiber and 10g of protein. Alright, football fans. Here we go. We are going to begin and end this week with some favorite football snacks. I guess it’s about time I accept the fact that we’ve left the real world and entered football season. At least in my house. And, even though I grew up watching my dad fixate on every Steelers & Penn State game and then married a man who would rather have surgery than miss a Packers game, I still couldn’t tell you the rules. Which, for the record, I am totally OK with. Even though I look at football Sundays as the perfect opportunity for me to catch on up work & online shopping, I get the fanaticism that surrounds it. Also, I like the food. And anytime there is an opportunity for me to work on a recipe for BL’s enjoyment, you know I’m going to take it. Which brings me into my own football obsession: Friday Night Lights. OK, I know I’m late to the party. Like 10 years late. But, I finally started watching the Friday Night Lights TV series on Netflix this weekend and… where have you been all my life? So, as I prepared these Sloppy Joes over the weekend for BL to enjoy during his football game, I also made them for mine- in the form of Dillon High School football drama. 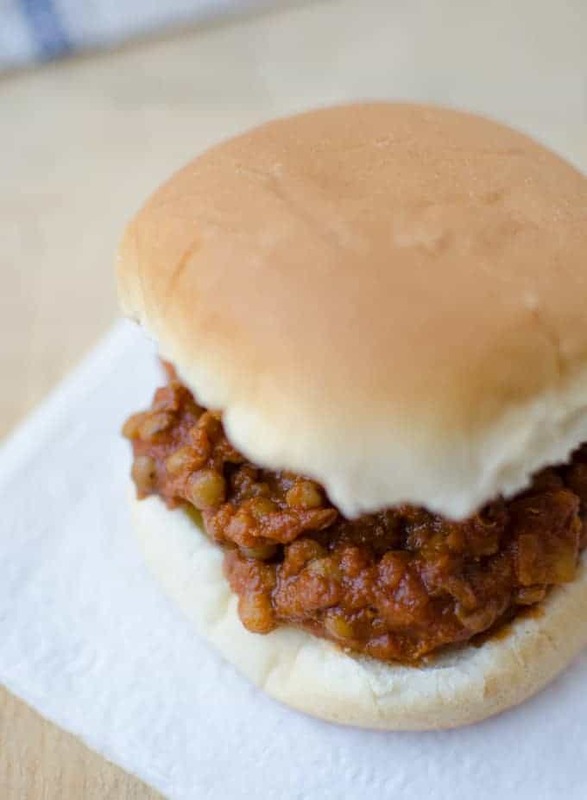 These lentil sloppy joes were actually one of the first recipes I posted here 4 years ago, and they’re just as good now as they were then. I am currently in the process of going through my older recipes and re-photographing them. Even now, they are a favorite around here. High protein, super filling and hearty enough to satisfy both BL’s and my cravings. 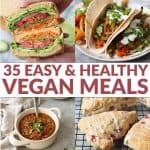 There are a few vegetarian meals I rely on when serving my friends who are, how should we put this, a little apprehensive about dining sans meat. When dealing with a mixed crowd, I usually choose between one of my pasta dishes, lentil tacos or these sloppy joes. 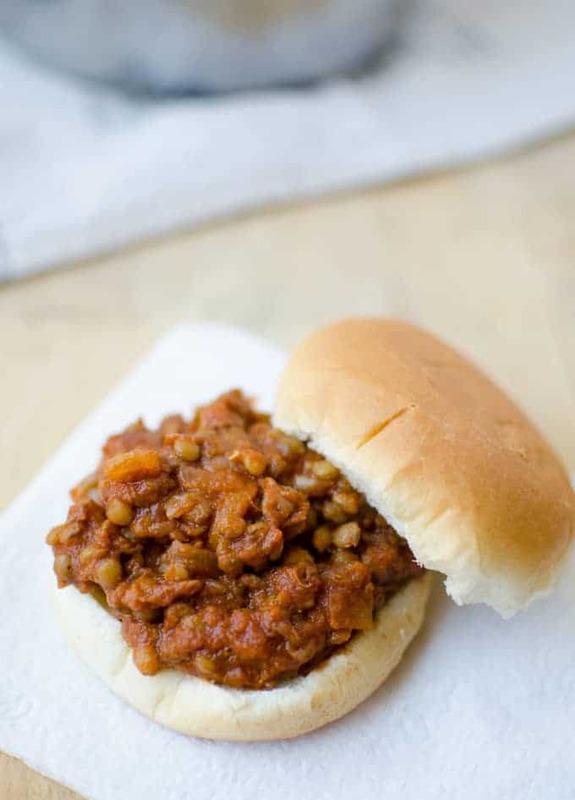 For a crowd, I put these lentil sloppy joes in a slow cooker and have a build your own bar. My favorite toppings: diced onions, pickles, hot sauce, extra BBQ sauce and avocados. Always avocados, you know? Our favorite high-protein sandwich! BL asks for this one weekly! Filled with vegetables and yummy lentils. Hamburger buns and optional toppings. Rinse lentils thoroughly and add to a saucepan with water. Bring to a boil, reduce heat and simmer for 30-35 minutes until soft. In a large saucepan, heat the oil over medium high heat. Add the onion, carrot and bell pepper and cook until translucent and soft. Stir in the chili powder, cooked lentils and chopped tomatoes. In a separate bowl, whisk together the ketchup, brown sugar, tomato paste, Dijon mustard and apple cider vinegar. Season to taste with salt and set aside. Add to the lentil mixture and simmer until hot and thickened, about 10 minutes. Serve on hamburger buns with whatever toppings you’d like! 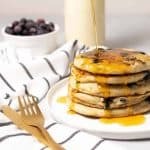 I’m a huge football fan myself (totally on the same page with your dad rooting for PSU and my beloved Steelers), and I’m obviously a huge fan of tailgate food and these would be perfect! I love making meat-like foods and not telling my friends what it really is- so fun! Love this vegetarian version of sloppy joes! Perfect for game day. 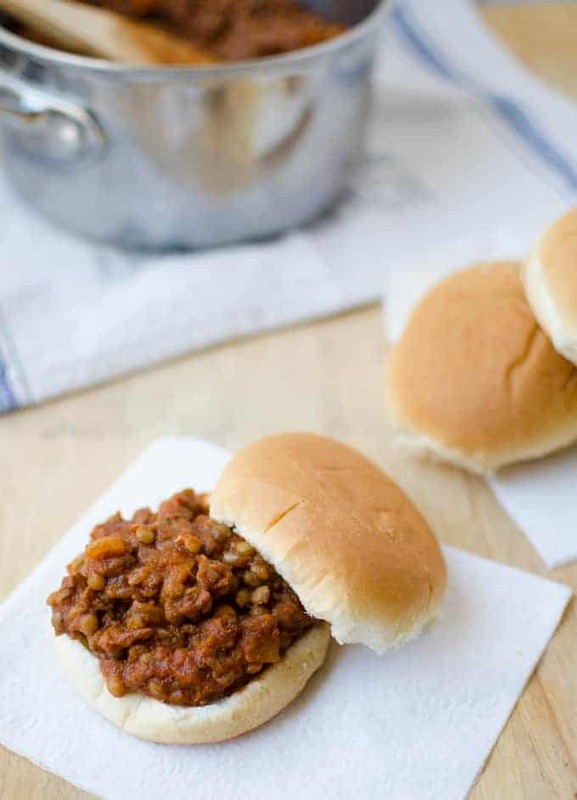 Love the texture in these vegetarian sloppy joes! Thanks Jeanette- they are surprisingly really meaty in texture! yum just bought some lentils and was wondering what to do with them. Already pinned! Ha! Thanks Jessie- so glad you came over! While I love a good football game myself, I’d be lying if I didn’t say the food and celebrating are probably my favorite parts of the experience. I’m oh-so-late to the party and haven’t watched Friday Night Lights yet, but everyone always raves about it. It’s about time I get on that. Great recipe – I’m always looking for new ways to use lentils. Im seriously obsessed with the show. My mom watched it for years and I never got into it but now I am a huge convert. It’s perfect! And yeah- this is my favorite recipe for lentils! I have no desire to watch football, but ALL THE DESIRE to eat these sloppy joes! These sound great! I have never made lentil sloppy joe’s, but like you I am always looking for ways to feed my meat-loving friends a vegetarian meal. Sounds like they’d love this! Sorry – I’m confused as to when you add the lentils to the onions/tomatoes/carrots etc. Says to add the sauce to the lentil mixture. But if you read it, there isn’t a lentil mixture there’s a onion/tomato/carrot mixture and there’s lentils. Haha I agree. I’m not much into football except for the resultant downtime/food buffets. I have never made or even eaten sloppy joes before! They definitely aren’t common here in Australia so I need to recreate your yummy lentil version.. it’s perfect for myself and my vegetarian household! 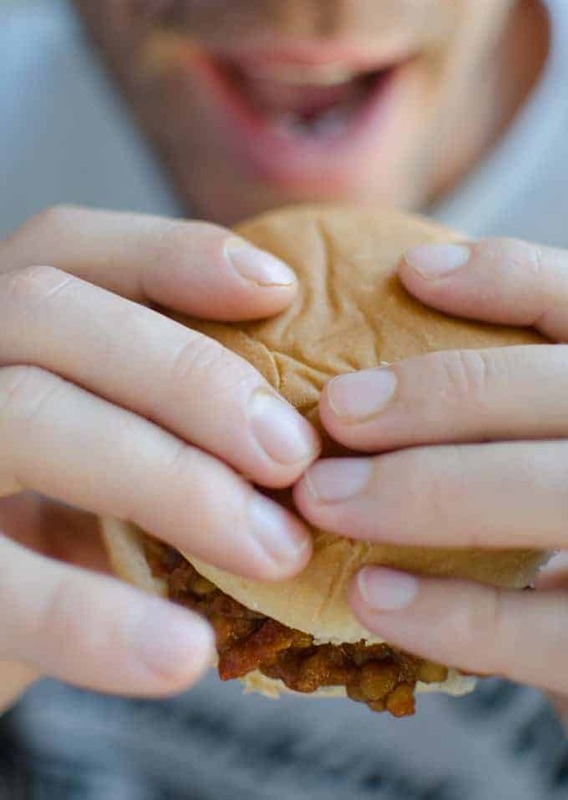 I used to LOVE sloppy joes when I was a kid. Now that I am older and don’t eat a lot of meat, I’ve had to skip out on all the nostalgia. I love this healthified and more adult version of sloppy joes. I can’t wait to try this out! Thanks Amanda! Hope you try it! I hate watching football but I am ALL OVER THESE. I just tried these tonight, with a few mods, and they were wonderful. My meat-loving hubby adored them. My daughter is a vegetarian so I can’t wait for her to get home and try them! Yum! Are you cooking the lentils in the slow cooker or in a pot? How long do you cook in a slow cooker? And what type of lentils are you using? Green/red? Hi Wanda! you can do either! I cooked the lentils in a pot, but any method will work- slow cooker, pressure cooker, or stove. I like the stove or a pressure cooker the best since they will be done in 30 minutes or less! For the slow cooker, I would plan for low 5-6 hours, high 2-3 hours. Made this for the first time for my neat loving family. They loved it!! Made this for the first time for my meat loving family. They loved it!! Hello! This looks so delicious! You mentioned that you sometimes make these in a slow cooker. Could you please tell me how the directions differ for the slow cooker? Have made this several times, very tasty and delicious! Yum yum yum. Yum.